As part of a Martin Luther King Jr. 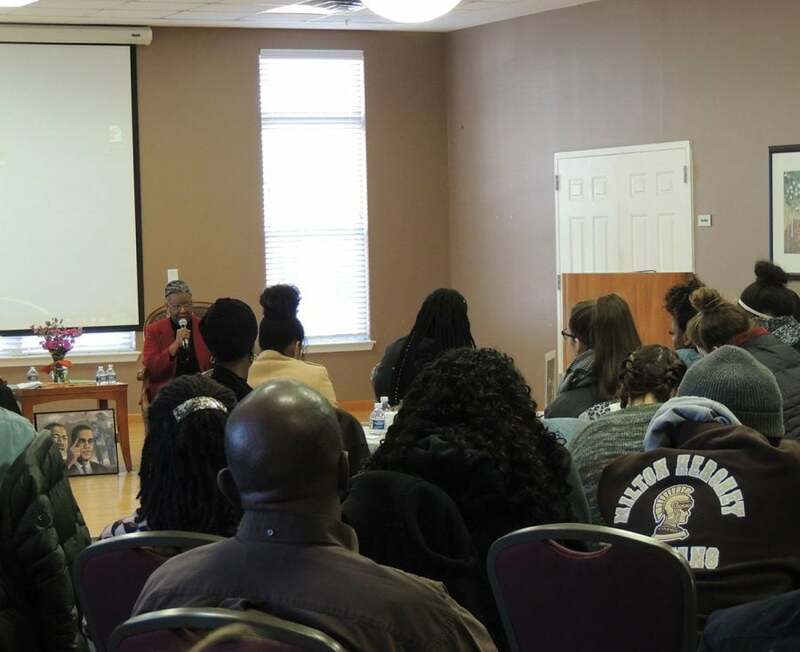 Observance Program, Dr. Adrienne Manns Israel spoke with members of the Guilford community on Monday, Jan. 21, from 1 to 3 p.m. in the Community Center. The event began with a viewing of “Eyes on the Prize,” a documentary focusing on student activism and protests at Howard University in the 1960s. Following the documentary, Manns Israel spoke in an interview with Director of Community Learning James Shields about her involvement in student activism at Howard during that time. Following the interview, Manns Israel answered questions directly from attendees. Israel began her work at Guilford College in 1982. She has since helped create a study abroad program in Ghana, as well as the African and African-American studies major. From 2013 to 2015, Manns Israel served as the vice president and academic dean. She plans to retire at the conclusion of this semester. “How powerful is it, to have (members) of our very own (community) nestled in history books with Muhammad Ali, with the Gary, Indiana (National Black Political Convention), event in the same documentary where they highlight the work and life of Martin Luther King Jr.,” said Associate Vice President for Diversity, Equity and Inclusion Krishauna Hines-Gaither. Manns Israel was born in Ohio and says that her upbringing prepared her for activism at Howard when she began attending the university in 1964. Following obtaining her degree from Howard, Israel worked as an interim reporter at the Washington Post. She later returned to Howard in 1971 to obtain a master’s degree in African studies. Manns Israel shared her experience as a minority in her early education, and her hopes for a college education focusing on black history and culture. “I had gone to a white elementary school, junior high school and high school,” said Manns Israel. “I had become completely disillusioned with integration and being the only black person here or there in high school. So I went to Howard seeking out an education that would prepare me as a black person to know my history, to know my culture, and when I got there I found something completely different.